The verse is disturbing because it exemplifies how a nation’s selective memory can lead down a destructive path for citizens and strangers alike. As much as the Hebrew slaves were oppressed, the Egyptian people were also impacted adversely by their leader’s decisions and the ten plagues brought by God that afflicted every Egyptian. The text explains that the Egyptians took their cue from Pharaoh. The Egyptians did not need much convincing to set up taskmasters and inflict hardship on the Hebrews. We know of course how the story ends, since we retell it every year at the Passover Seder – we were saved by the strong hand and the outstretched arm. Reflecting on the past year 2017, I have been anticipating this text. I have thought about it when I read about the uptick in hate crimes; I have felt it in the double standards regarding politics towards Israel; and it has reverberated in my mind witnessing the rise of right wing and populist politicians all over the world. It’s been hard to think of little else. It is no small comfort to me that in the subsequent verses we read in our Torah portion we meet Shifra and Puah, the midwives who defy Pharaoh’s edict to kill all the newborn Hebrew boys. Acting out of their faith in God and in their awareness of what is just, they strategically denied Pharaoh’s orders. The Talmud (Sotah 11b) points out that the Torah doesn’t just tell of their disobedience, but says, “they let them (the boys) live” (Exod. 1:17). The rabbis ask why the text needed to add that point, since presumably by their disobedience, the children were spared. They answer that the end of the verse teaches that not only did they not kill the boys, but they actively aided them to live, by giving them food and water (BT Sotah). The rabbis imagines that Shifra and Puah actually became God’s partners in creation, as they granted life to the Hebrew children (Shemot Rabba 1:19). As enigmatic as these rewards may be, they make perfect symbolic sense. The seeds of Tikkun Olam were planted with the midwives’ strategic defiance against injustice, as their actions were about preserving life, and anticipating a future where all people would be free to dwell in safety. As we anticipate the new Year, let the story of the midwives serve to remind each of us that we have the ability to speak and act against any and all injustice. Let us not allow “collective forgetting”. Each of us can be a midwife who helps to birth the future and bear the hardships on the road to justice and freedom, never giving up, always with the greater good in mind. This Shabbat we learn of two cities and two lessons. Each of these cities offers us a value and a cautionary note. We relearn these values and we recall their accompanying cautionary notes. The first city is from the Torah portion. It is Hebron. In this week’s Torah portion Sarah dies at the age of 127 years. Abraham mourns her and seeks to buy a burial plot. He purchases the Cave of Machpeleh from Ephron, the Hittite. We learn that Abraham pays more than the asking price and thus Hebron becomes the first Jewish place. From this city we are reminded that the land, the land of Israel, is more than a sentimental note, it is holy to us. It is made holy by Sarah’s death, by Abraham’s purchase, and God’s promise. Here is where it all started. Our faith began in Hebron, located in the modern day West Bank. Thus it is not just any land that the Palestinians claim. It is our people’s as well. When it comes time to make peace (may that day be very soon) it will not be as simple as withdrawing from Gush Katif in Gaza. And if you recall this recent history, remember that it wasn’t simple or easy at all. In Hebron we still feel Jewish history and its reverberations. There one can sense Abraham’s and Sarah’s presence. Still our cautionary note is that the land is no more holy than any people; no place is worth more than human life and preserving Jewish democracy. Even a place as holy as Hebron, with its many Jewish resonances, is worth “sacrificing” for the sake of furthering security for Israel and saving lives. The second city is Berlin. We think of it because of our commemoration of “Kristallnacht” this week. On November 9, 1938 in Germany and Austria, and in particular in Berlin, the Nazis perpetrated this “night of broken glass”. There are many dates to which we can point and date the beginning of the Holocaust. This date would be one. On this day the Nazis destroyed and burned synagogues and Jewish books. And on this day the world stood by. Kristallnacht was reported but little, if anything was done. The Nazis were allowed to destroy Jewish lives and homes with impunity. We are reminded that even the most cultured of places can become evil. The place that gave the world Max Liebermann, Alexander von Humboldt and Rahel Varnhagen also gave rise to the past century’s most unparalleled evil. Lest we be naïve, we must proclaim that anti-Semitism still exists. We hear its venom coming from Iran. It exists in Europe, in the United States, and even in South Africa. There are tinges of it emanating from BDS. This is a movement that is all about anger and not about peace and empowerment of the Palestinian people. Standing in front of Jewish owned places and calling for boycott of exactly those stores and companies follows only one pattern, the Nazi terror of the Third Reich. From the memory of Jewish Berlin we are cautioned: stay vigilant. Never be so quick to dismiss racism and anti -Semitism. It can arise anywhere and everywhere. It can be found in any city. For us Jews, history is relevant, it is part of our identity. Those two cities are only two examples for how history has shaped us as a people, as a faith, as human beings. “Those of us who are committed to a secure, prosperous Israel ache each day that the conflict with the Palestinians persists. Despite the anger we might feel toward the Palestinians, Deuteronomy 2:2–7 reminds us that God did indeed promise land to other nations in the region beside Israel. The Bible reminds us that despite our feelings, we must live according to our ethical and religious precepts. While we stand in solidarity with Israel, we must resist the temptation to demonize the Palestinian people en masse because of the sins of their leaders and the terrorists who live among them. Reform Judaism has always maintained that the Palestinians are entitled to coexist side by side with Israel and has also challenged the efficacy of settlements in the West Bank. This parashah reminds us that no matter what the original boundaries of Eretz Yisrael were (and there were variations), Israel needed—needs—to be righteous and just; and her neighbours, despite their conflicts with Israel, were—are—entitled to their own land. * Moses begins his final words of instruction to the Children of Israel, focusing first on recounting their physical journey. * Moses reviews the people’s reactions to the negative reports of the spies and the appointment of Joshua to succeed him. * Moses recounts that all of the Israelite warriors who left Egypt died, as God had intended, and the people continued their wanderings and defeated their enemies. * Moses reiterates that the Land of Israel was allocated to the Israelite tribes. Our Parashat Matot Masei, which brings the Children of Israel to the plains of Moab on the border of the Land of Israel, deals with the nexus between two of the founding stories of Judaism. The story of peoplehood frames the Jewish People as a family and a tribe bound together by a shared history and destiny in mutual responsibility. The story of nationhood views the People of Israel as a community that is associated with a specific land, Zion, from which it was exiled and to which it ever seeks to return. In the second half of our Torah portion, the tribes are informed of the borders of their future dwelling, while the tribes of Reuben, Gad and half of Menashe chose to remain beyond those borders; on the east of the Jordan river. Thus, we see that even before the Jews entered the land, life beyond Israel’s borders was already a reality accepted and validated by the Torah. However, such a “proto-diaspora,” was not freed from its own obligations to the rest of the Tribes of Israel. Indeed, in the first half, Moses challenges the two and half tribes: “Shall your brothers go to war while you dwell here?” (Numbers 32:6). However, the tribes assure Moses that they will join their sisters and brothers to conquer the Land of Kana’an, only returning when all of the people are settled. 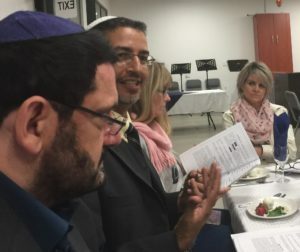 Thus, the roots of Diaspora Judaism are long and deep; so too are the expectations of the Jewish People from Jews beyond Israel’s borders to contribute to the unity and wellbeing of the people within the Land of Israel, while Israel itself is the beating heart for all, keeping all Jews connected—close by or far away. This obligation has taken many forms in different times and contexts over centuries. This is highlighted in this very moment while we discuss the egalitarian extension of the Western Wall Plaza and the conversion bill. On the one hand, multiple missions of solidarity especially from the Progressive Diaspora Communities, millions of Rand, Euros and Dollars of financial assistance and broad mobilisation on social media have all embodied our commitment to Israel. On the other hand the on-going diminishing and out-casting of the non-orthodox communities in Israel have left severe marks on our Jewish souls. Progressive Jews in South Africa, and all over the world have continually shown their unbroken solidarity with Israel. The security and well-being of our sisters and brothers in Israel are without a question part of our “DNA“, and no group or organisation in Israel or outside of Israel has the right to challenge or even cut this bond we have. Patrizia (in the picture right) is one of my former chanichot at Netzer. She visited Israel for the first time when we had an exchange programme with Noar Telem (Netzer Israel) in 2014. 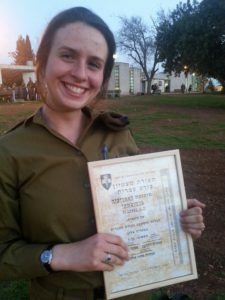 Last year she made Aliyah after her Netzer-Shnat year, and today she serves as a lone soldier in the IDF. I could not be prouder of her, because she lives the values and ideals we teach in Netzer and the Progressive movement. And it is for her and all other Progressive Jews that we stand and fight for a more pluralistic Jewish Israel. Patrizia, as any other Jew, deserves a Jewish home and place that reflects their, our, values and traditions, too. 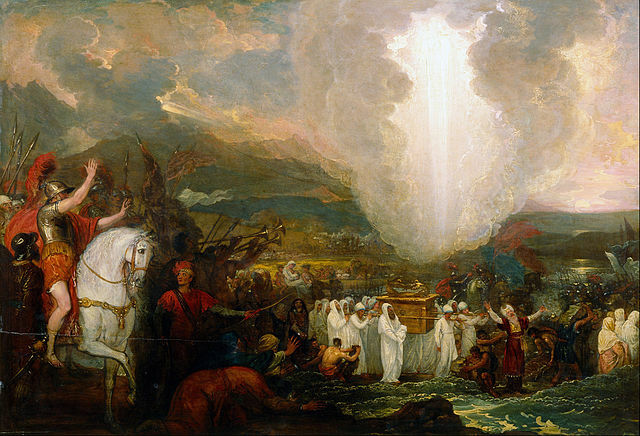 Moses, in our Torah reading, challenges the diaspora to stand on the side of Israel. Today, we challenge Israel to stand on our side. Only five Torah portions derive their titles from the names of individuals. These five portions are Koach, Yitro, Korach, Balak, and Pinchas. Three of them are in Numbers, a book that heightens the trials of the Israelites with micro-narratives in the midst of the great historical trek toward mature freedom and the continued attachment of moral demands to the Israelites‘ story. And each of these portions represents a figure whose role in the creation of the nation Israel is quite revolutionary. Each of these figures engage in behaviour that was groundbreaking, and (even in the case of Korach) essential for the development of the Jewish nation. Two of them are rebels whose plots were foiled (Korach and Balak), two of them make the world better for the Jewish people (Pinchas and Jethro), and one of them is designated to save the world. That role went to Noach, the righteous one of his generation. Korach is clearly a bad guy, as he rebels against the one clear, pure leader of the Jewish people; there is no doubt about history’s judgment of Korach. But the story becomes more important than its simple moral message when we reflect on the leader whom Korach opposes. Moshe, called in innocence to lead the people and flawed by his own physical imperfections and temper, emerges within the larger biblical story as tragic, incomplete, and monumental to the human challenge of leadership. Sometimes those who oppose him or his values are judged, and at other times (as with Zelophehad’s daughters, who influenced change in inheritance law), the rebels guide him in new directions. Other challenges to authority have better results for the challengers. For example, in I Samuel, the people complain to the prophet that they are tired of his leadership and want a king. In that instance, God urges Samuel’s compliance. Samuel, like Moses, becomes defensive, asking: Have I taken anything from the people? Have I benefited from this awful leadership task? Jethro challenges Moses‘ ability to judge all the people and warns him that eventually he will wear himself out. Moses heeds this challenge as well. A linguistic note is worth mentioning here: Korach accuses Moses and Aaron with the phrase rav lachem (you have gone too far [Numbers 16:3]), while Jethro warns his son-in-law with the phrase ki chaveid mimcha hadavar (for the task is too heavy for you [Exodus 18:18]). The differing approaches of Korach and Jethro demonstrate how we can respond with either jealousy or concern. Parashat Korach provides us with a unique opportunity to examine the entire concept of challenging authority-a value that Reform Judaism prizes -and to do a little soul searching about how we react to strong leaders. We may not celebrate Korach’s arrogance, but we can certainly celebrate the acknowledgment of the dark side of leadership and follower-ship.